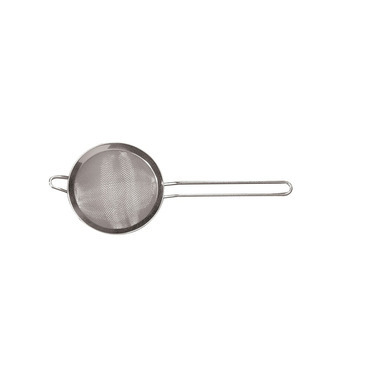 This 2" stainless steel strainer ​comes in handy for all the little things! I love this very small strainer. I have a 4" and it wasn't quite right for straining the lumps out of my matcha into my teacup. This is perfect. Now I have a perfectly refined cup of matcha tea with no lumps in the bottom that never seemed to dissolve no matter how much I whisked it! I'm really glad I thought of this solution. I really like this strainer. It is small enough to rest on my tea cup and big enough to collect all the loose tea leaves coming out of the spout of the tea pot. The material seems sturdy. I would buy another sizes when they go on sale.